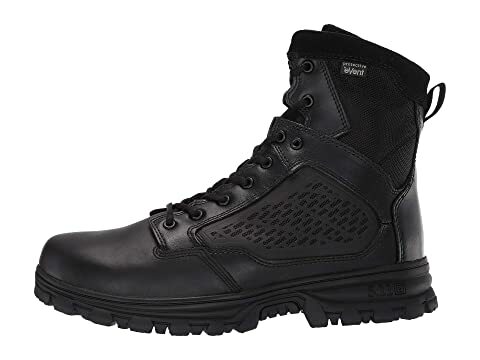 The 5.11 Tactical® Evo 6" Waterproof w/ Side Zip boot protects you and keeps you steady on your feet in inclement weather. 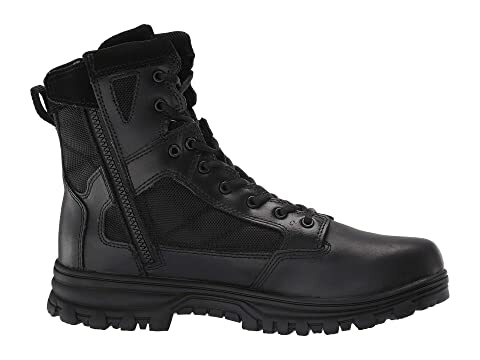 Waterproof full-grain leather and rugged 1200D nylon upper. 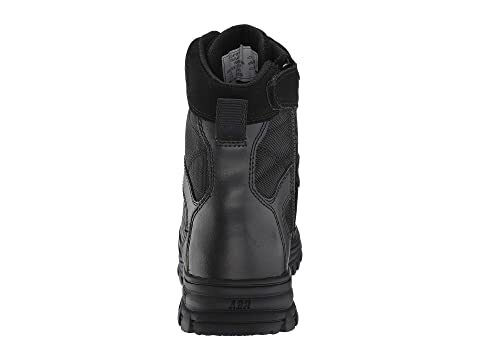 Features an eVent waterproof, breathable, and BBP (blood-borne pathogen) membrane keeps out fluids for a drier, more comfortable foot environment. Sausage laces for a secure fit. YKK® side zip closure for easy on and off. 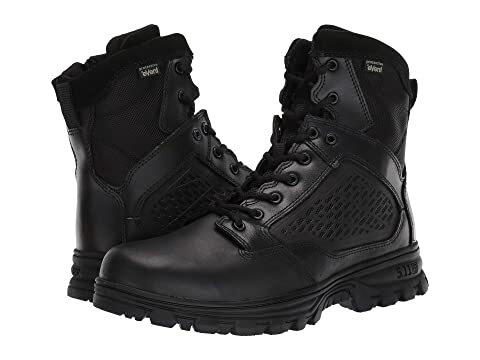 Waterproof textile lining provides excellent breathability and features Odor Control technology to fight odor-causing bacteria for a fresher foot environment. D30 Decell heel cushion for added comfort. Cushioned Ortholite® insole provides underfoot support and comfort. Injection-molded Phylon midsole with 5.11® Shock Mitigation System offers excellent shock absorption and support. 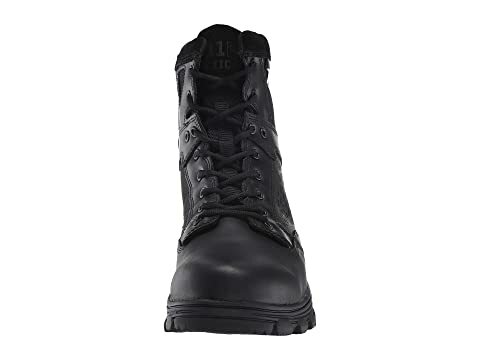 Non-metallic nylon shank for lightweight stability. 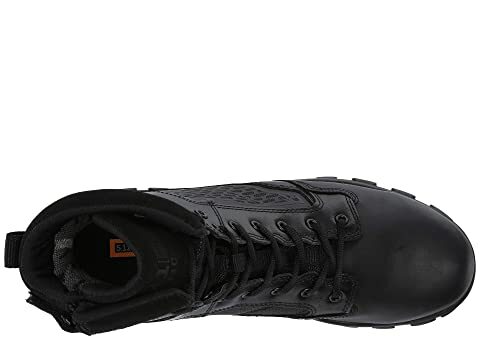 Outsole includes climbing lugs and a friend-finder logo. 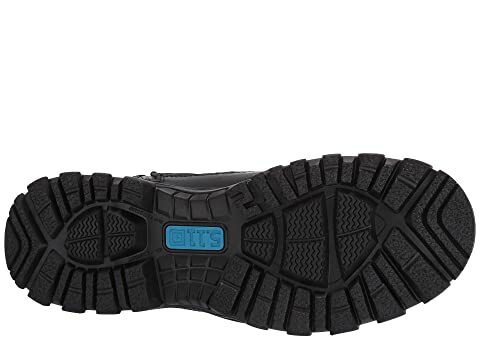 Durable, non-stitched waterproof outsole is oil and slip resistant.